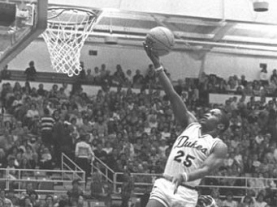 The 1981-82 James Madison Dukes finished first in the ECACS with a 10-1 record. The Dukes opened the season with seven straight wins en route to a 24-6 overall record and were in the midst of three straight appearances in the NCAA Tournament under head coach Lou Campanelli. 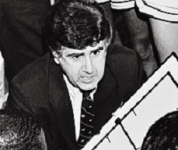 The program joined the Division ranks in 1976 with Campanelli at the helm. During his nine seasons James Madison never had a losing record. 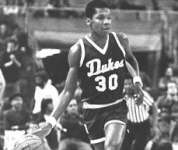 The 1982 NCAA tournament team was led by Linton Townes and Dan Ruland who were the only Dukes to average double-figures in points. After beating Ohio State, JMU would fall to eventual National Champion North Carolina in the second round.